If you are in Denver for a corporate visit and looking for a Business car in Denver, 365 limo Denver has the best possible option for a business client like you. We are one of the leading companies in Denver renowned for providing our co-operate clients a premium Lincoln Town Car in Denver with the relaxing environment. Travelling can become challenging if you have to manage your business schedule and are bound to follow time. We understand that if you are in Denver for a business trip than your time is most valuable and our priority is to save your prestigious time by provide you a private environment where you can easily concentrate on your work, relax before heading for business meetings, and make any necessary conference calls in the mean time without any privacy concerns. Most of the Business clients who are traveling in large groups find it difficult to coordinate among them and match the arrival time at the destination. We at 365 limo Denver supervise the special needs of our corporate groups and take care of your unalterable business schedule. Our chivalrous drivers will reach your pick up destination keeping grace time to avoid any delays in your plans. Our aim is to provide our clients with the finest business car in Denver, which surpass their expectation level and give them a remarkable experience. Our team is comprises of courteous employees who will listen and understand every bit of your details so that you can relax while we take you to your destination. Our drivers are carefully selected and trained as we by no means compromise on your safety. 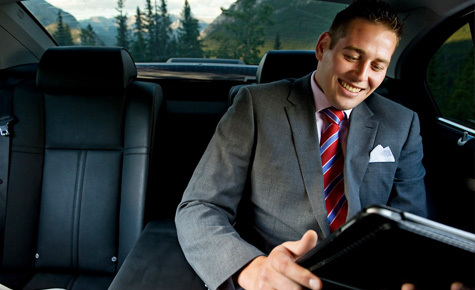 If you are looking for flexible and reliable plans our corporate car service is designed for you by carefully keeping the needs of business travelers. Our punctual drives and managers will design your trip with you to ensure that you experience a flawless journey. We are offering Lincoln Town Car in Denver to meet your corporate needs. You can contact us for priority corporate services, flexible plans and reliable services. We take pride in our incredible time management and safety records of our corporate clients, which help us, build a prestigious name for providing Lincoln Town Car in Denver. We also look forward to bring as many corporate and businesses accounts on board, we do provide top notch yet competitive and often discounted pricing for Corporate Car Service Denver. If you are visiting Denver officially and require a transportation service, call us to get the best pricing on your tour. 720-394-6472.